BRONX (WABC) -- Falling debris caused extensive traffic delays on the eastbound Cross Bronx Expressway. The on-ramp to the Major Deegan from northbound I-95 is expected to reopen shortly, several hours after thousands of bricks tumbled into the roadway Thursday evening. 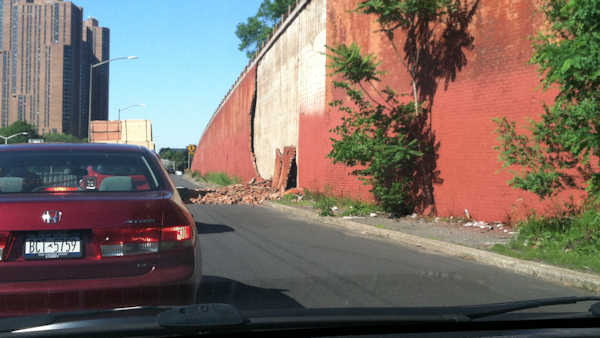 The bricks were part of a facade that broke free from a retaining wall that runs alongside the on-ramp at 5:23 p.m. The roadway was shut down throughout the evening as sanitation crews worked to remove two truckloads of bricks. No one was injured. City inspectors examined the site and determined that the bricks became dislodged as a result of age and ordinary wear and tear. The rest of the wall was found to be structurally sound. The retaining wall was not damaged. The closure was limited to traffic from northbound I-95 onto the Deegan and did not affect traffic on either superhighway. 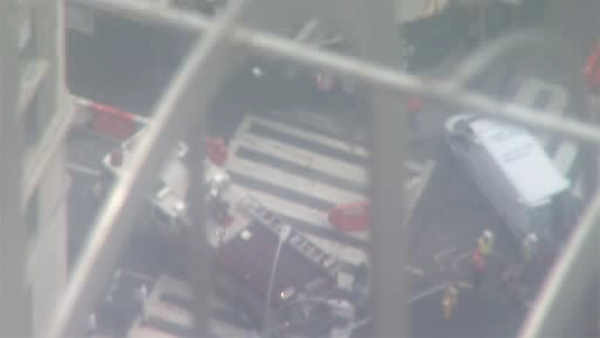 Motorists were forced to detour, taking the ramp to the northbound Deegan from I-95 south.